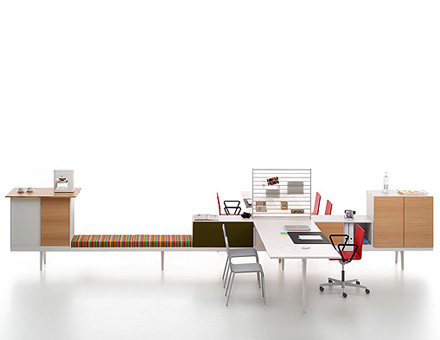 Level 34 is a bench-based furniture system designed for Vitra to create unconventional office landscapes. 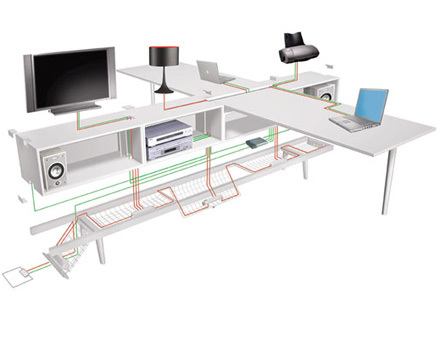 The expandable system creates autonomous work areas and relaxation zones, individual spaces and storage facilities, waiting and reception zones, all with an integrated wire management. 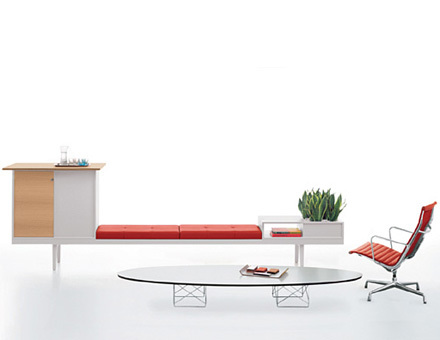 Level 34 is built on a bench system with a platform 34 cm off the floor. 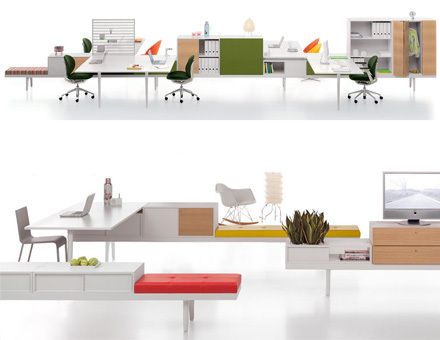 The bench serves as the basic element for containers, cabinets, shelving, tables, seating and cable management. Design by Werner Aisslinger. Accessory detailing, layout drawings and presentation images and layout.